A Dish of Daily Life, 2. 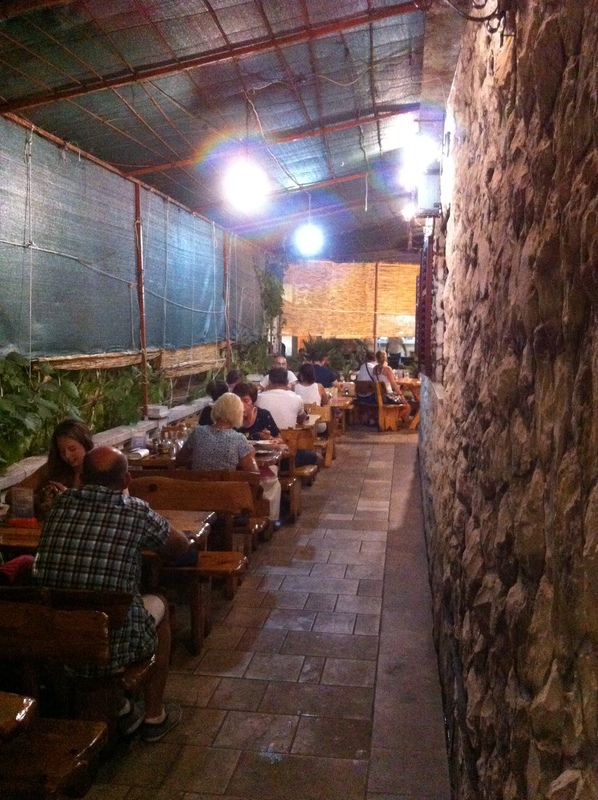 A daily fresh cut of meat from the butcher shop at Korcula Island and fresh vegetables from the valley of Neretva River. 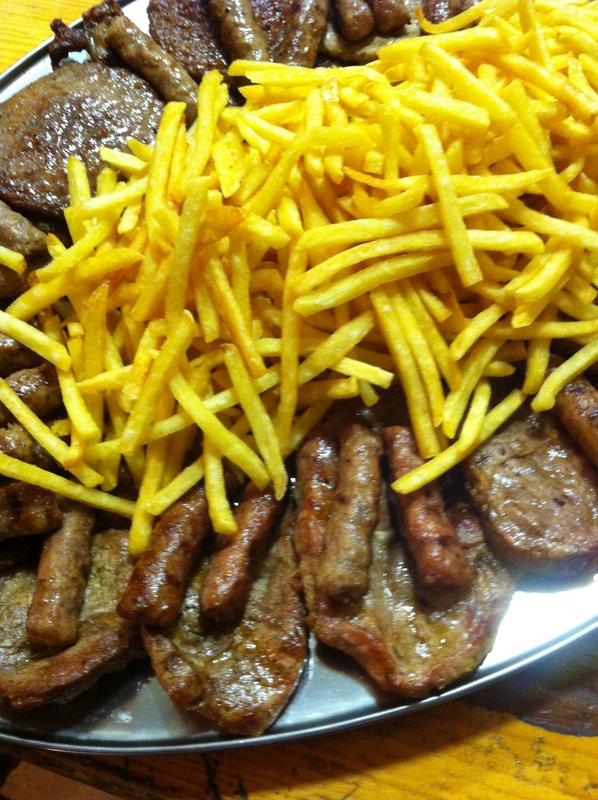 Meat selection: veal chops and cutlets, pork chops and cutlets, liver, and then a specialty: cevapcici and pljeskavica. 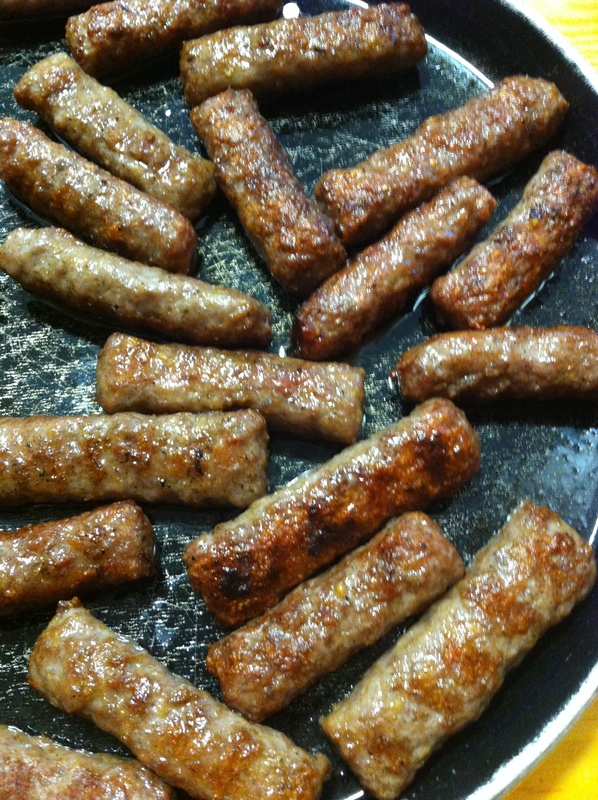 Cevapcici (small ground beef sausage) and pljeskavica (ground beef patty) are well known in Croatia and Dalmatian cuisine originating in Middle Eastern cuisine. 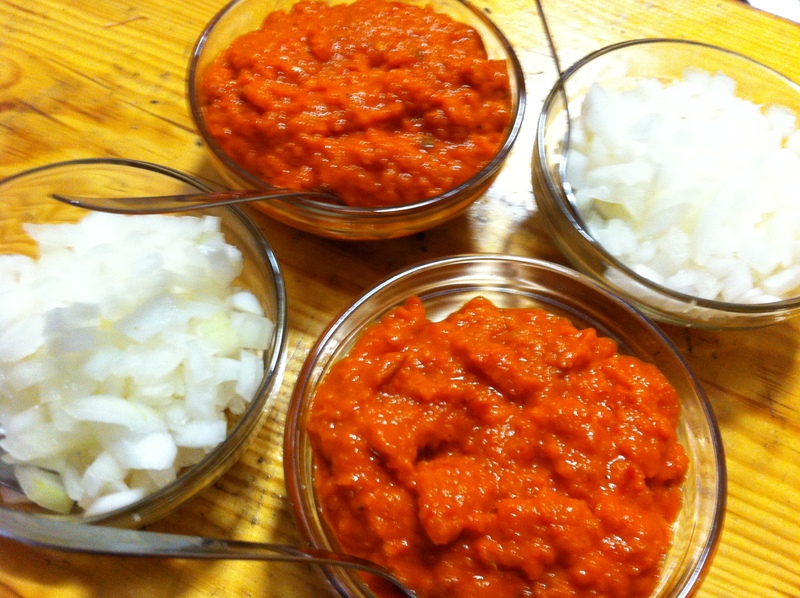 Cevapcici and pljeskavica are served with chopped onion and ajvar (red peppers and eggplant sauce). 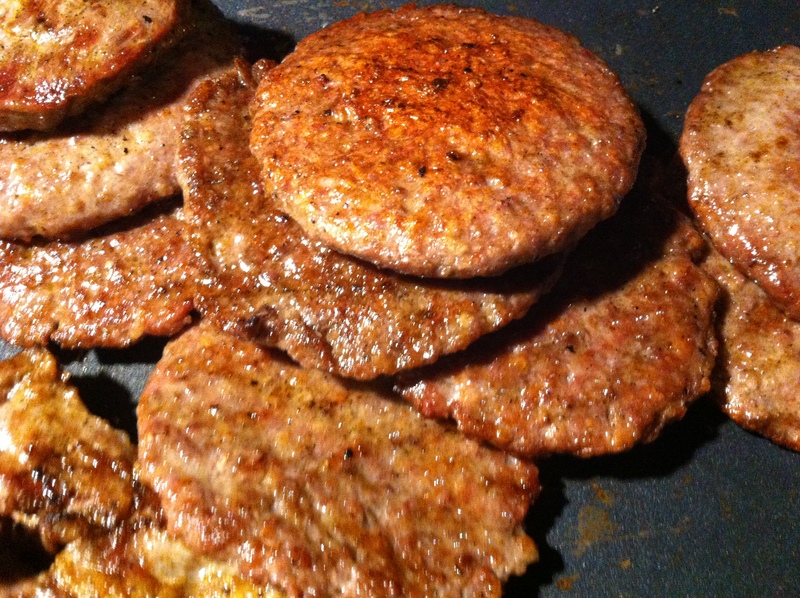 All of our meat dishes are grilled to the perfection on our wood/charcoal open fire grill. The dishes are available separately or in any combination, you would like to have it. The side dish is french fries but upon request, we can have our grilled vegetables as a side dish too. 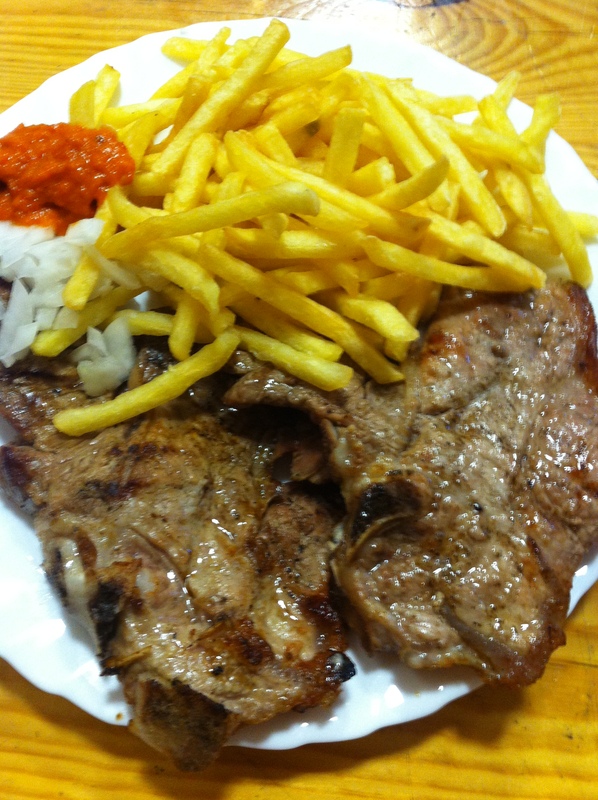 Ask for our grilled meat plate for two!